The Ezy Roller is an amazing ride-on toy for both boys and girls. You have to alternatively push with each foot on the front bars and it moves! You can see in the video below how the Ezy Roller glides. Certainly an engineering marvel. Kids (and adults) between 3’3″ and 6′ and up to 150 lbs. can ride on it. It is very quick and easy to assemble. It comes with an extension bar for customizable length. The wheels are standard 98 mm scooter polyurethane wheels with bearings and can be replaced if needed. There is a hand break on the right back wheel. Pull upwards to stop. Although the Ezy Roller works best on flat surfaces you can ride it on inclines as well. The rule of thumb is: if you can ride your bicycle easily up the slope, you will be able to ride the Ezy Roller, too. When going downhill, keep in mind that if the slope is too steep the hand break will be used a lot and the wheel under it will be unevenly worn out. Ezy Roller can be used outdoors on asphalt or cement surfaces but not on grass. It will work indoors as well but only on hardwood/tile/linoleum floors without rugs. 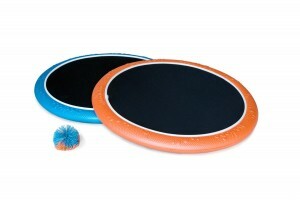 The Ogosport Disk Set is a great outdoor game for both boys and girls. It is similar to shuttle ball but easier to play. The set includes two 18″ discs and 1 rubber band style ball. Kids can play with someone else tossing the ball back and forth or play alone bouncing the ball up and down. The disks are very lightweight and covered with a thin stretchy fabric. Despite that, ours have lasted for 2 years and still look like new. We store them in a toy box outside and the low temperatures during the winter did not affect them. This is another wonderful outdoor toy for girls and boys. 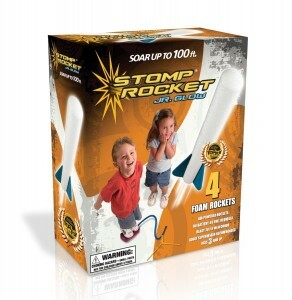 There are two versions of it: the Ultra Stomp Rocket (recommended age 8+) and the Stomp Rocket Junior (recommended age 4+). Each set comes with four foam rockets and there are replacement rockets as well. The rockets in the Junior set also glow in the dark for easy tracking in the evening. The differences in the launchers are very slight but enough to not allow rockets from one to fit the other. The rockets are also different in design. Those in the Ultra Stomp Rocket set are sturdier and heavier and this is the reason for the higher recommended age. We have had the Junior version for four years and it is still shooting the rockets perfectly. It has provided fun for many afternoons in the back yard. It is very easy to launch a rocket high: just stomp on the launch pad and the suddenly squeezed air does the trick. Kids love pogo sticks but those are generally for older children. With this foam pogo jumper now very young ones can join the fun. The jumper is 29″ tall and is for kids from 3 to 10 years old. We wish we knew about this jumper a few years ago when our son wanted badly to try his cousin’s big pogo stick but was just too short for it. Two features make the Kidoozie pogo jumper very safe: the bungee is retractable and the handle is foam-covered. 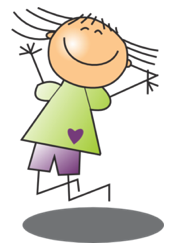 Kids can lose their balance and fall off but they will never be really injured as it happens with metal pogo sticks. And unlike other pogo sticks this one can be used indoors as well. 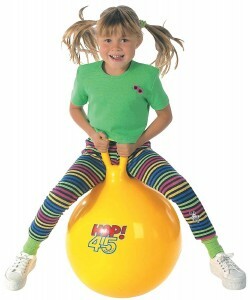 The pogo jumper is durable and can take even adults up to 250 pounds. It also squeaks with every jump much to the delight of kids (and maybe not so much to the delight of parents). Made of strong heavy duty vinyl, they are very durable and can sustain weights up to 300 pounds. The hop balls are shipped deflated and the hand pump is sold separately. Regular foot or hand tire pumps can also be used to inflate the balls. We bought Hop 45 when our son was four and he has been using it for the last 5 years indoors. It is obviously small for him now but since he can still hop on it we keep it. This YBIKE go-kart is the safe alternative to motorized vehicles of this type. It measures 45″L x 24″W x 18″H and is for kids from 5 to 10 years (110 pounds maximum weight). The steering is done by the handles which move the back wheel. The speed of the go-kart is limited by the pedaling. The seat position can be adjusted to accommodate riders of different height. 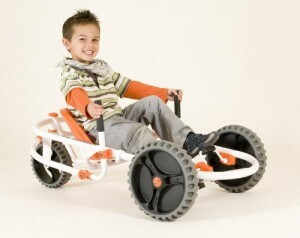 We wish this was available a few years ago when our son badly wanted a motorized vehicle. We never felt the motorized cars and jeeps were safe for the ages they were made. Kid-powered car would have been ideal. Tricycles are obviously well-known but because there are so many of them we added here our favorite. We got the Fisher-Price Tricycle for our son when he was 2 1/2 years old and one for our nephew recently. Both kids learned to ride it on their own between ages 2.5 and 3. 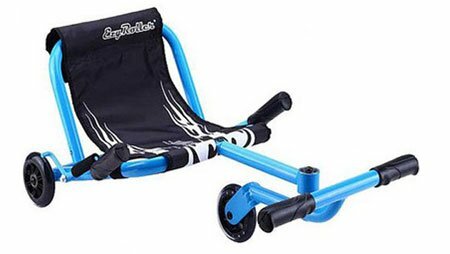 Although it is 2-in-1 toy for ages 18 months to 5 years, you should really expect to use it as a tricycle sometime after your child turns two. If you have to use the push handle, the child should be able to steer. After they learn to pedal on their own the push handle can be removed. The seat is adjustable and can be moved further back as the child grows. This tricycle was the only one our son could pedal at 2 1/2. We had two other metal ones but neither of them was right for him. This one is also the most stable tricycle we have seen. It is rather large and cannot be easily transported to playgrounds. 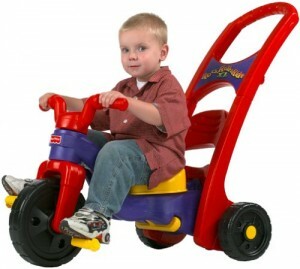 If you are planning to use it on the driveway and in the back yard then it is the perfect trike. 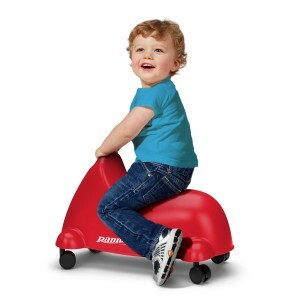 This scooter for very young children (1.5 to 3 years) is very maneuverable. The wheels whirl and spin to allow for easy turning. We had the Little Tikes Push & Ride Racer years ago and our son really liked it. But we had to do all the pushing around the house because it was difficult for him to ride alone. The wheels did not move easily when he was sitting on it. When he got old enough to push himself he was more interested in his tricycle. Thus, if we had to do it again we definitely would choose this Radio Flyer Scoot ‘N Zoom highly maneuverable scooter to save our backs. I discovered your Active Play Toys | Life Made Easy page and noticed you could have a lot more traffic. I have found that the key to running a website is making sure the visitors you are getting are interested in your subject matter. There is a company that you can get visitors from and they let you try the service for free. I managed to get over 300 targeted visitors to day to my website.